Our next Teachmeet event will take place at the IPPN’s Principals Conference 2018 at the Citywest Hotel on Friday 26th January. 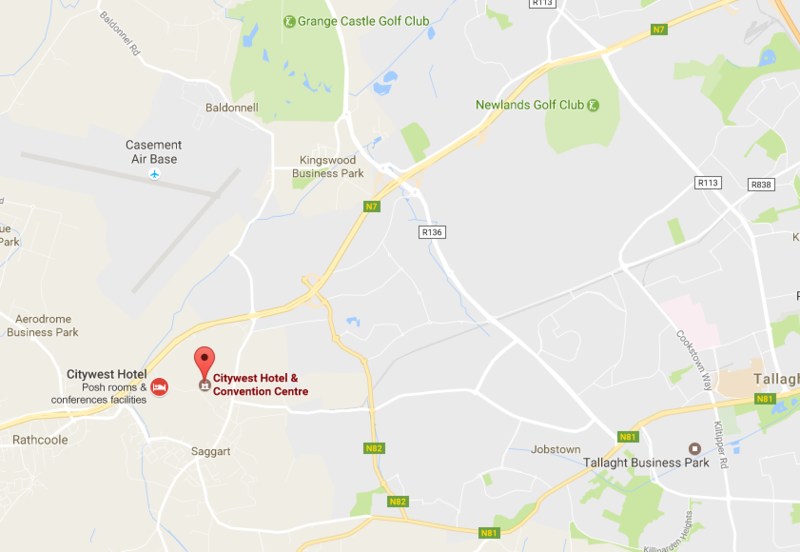 Attendance is being organised through the IPPN – click the Attendees page for more – but you can click the map below to find directions to the venue. Will there be events this summer? Possibly in Cork? If not, is anyone interested in starting one with me? Hi Amy – I’m afraid we don’t have any plans to run events throughout the summer break. However, if you do decide to try and start up your own Teachmeet events in Cork, you might find some helpful ideas in our ‘Start Your Own Teachmeet’ toolkit – keep us posted on how you get on, and let us know if you decide to organise an event so we can help you to get the word out! We are a group of 3rd year B.Ed froebel students from Maynooth University organising a Teachmeet for the 14th of March. We would appreciate it if you could help get the word out and you are more than welcome to join. You can find us on Twitter @tmFroebel an on Facebook @FroebelTeachmeet2019. Thanks a million.